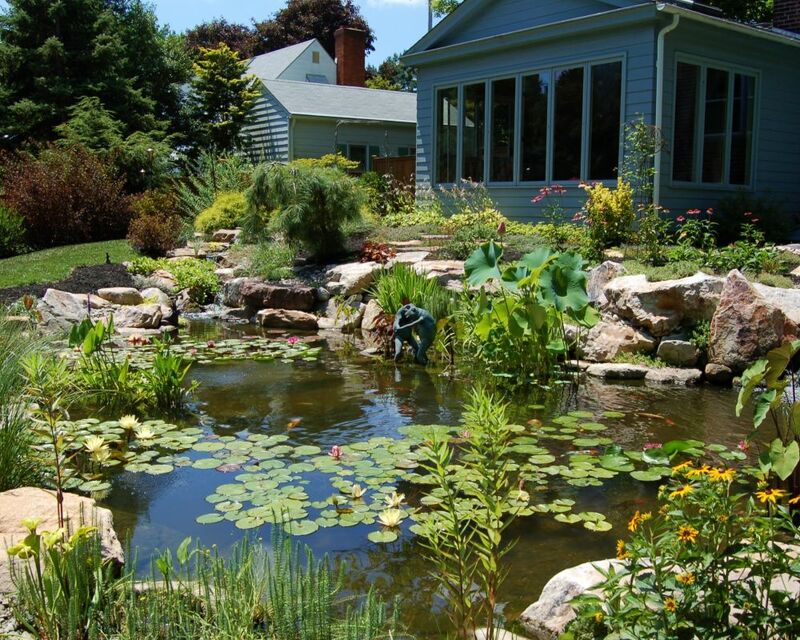 As with all other home systems, your Doylestown & The Bucks, & Montgomery County Areas Of Eastern Pennsylvania (PA) area outdoor pond and water features require regular maintenance for ongoing performance, functionality and enjoyment. Your maintenance needs may vary based on a number of factors — the size of your pond, its location and its individual features all play a part in the upkeep your water feature will require. As the slightest change to a small aquatic ecosystem can produce a major impact, we pride ourselves on working closely with all of our customers to develop a customized maintenance plan to meet the specific needs of your aquascape, and your budget. Along with regular maintenance, it’s also essential to prepare and protect your pond with regularly scheduled seasonal services throughout the year. This ensures the ongoing performance of your aquatic features, and prevents any breakdown in your equipment. To assist you in meeting these seasonal needs, we provide spring, early autumn and winterization service plans. While individual prices may vary based on pond size and decorative fixtures, you can view an estimate of our maintenance plans here. Across The Pond Aquascapesis dedicated to providing their customers with the most comprehensive and logical pond maintenance services programs available in the Bucks & Montgomery County (PA) areas. This dedication enables us to make educated improvements on our uses of the Aquascape product line we use. Chances are very good that if your pond was built by a Master Certified Aquascape Contractor, you won’t be visiting this page very often. But, what about ponds that were built by someone else? Do you have a pond that was built by a landscaper or a handyman, or even a pond contractor that is no longer in business? We can help!